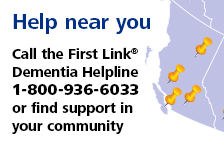 Vancouver - 2017 | Alzheimer Society of B.C. On Thursday March 9, 265 people gathered at the Fairmont Waterfront Hotel to raise over $165,000 in support of the Alzheimer Society of B.C. Guests heard from keynote speaker Sue Paish, Chief Executive Officer of LifeLabs, who talked about her personal experience in dealing with a family member with Alzheimer's disease. Emcee and guest speaker Dawna Friesen spoke about her journey in dealing with Alzheimer's disease and other dementias with both of her parents. Vancouver Whitecaps FC President Bob Lenarduzzi surprised the room by auctioning off an autographed ball, autographed jersey and a suite for 16 people. In the end three lucky bidders were each awarded the prize.